Baisy-Thy is a village lying 42 kilometers south-south-east of Brussels and to the east of the town of Nivelles. The village is about 2 kilometers to the east of the A7/E19 Brussels-Charleroi motorway and the cemetery is on the south-western edge of the village. 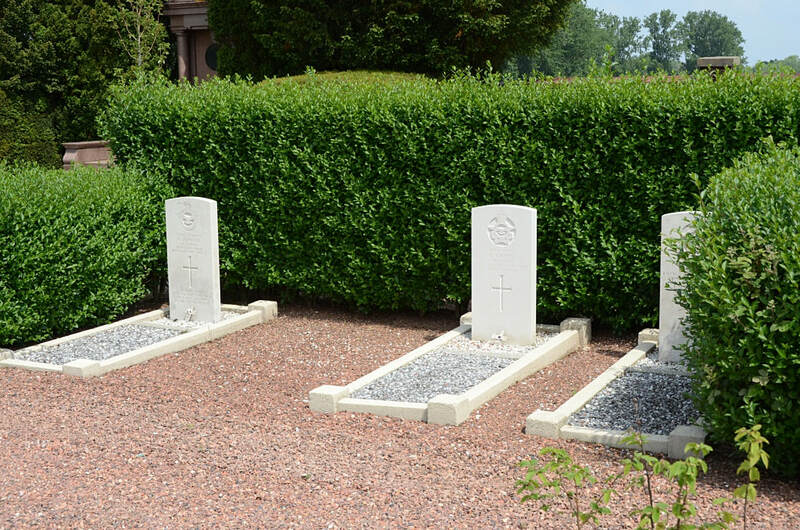 From the A7/E19 take exit 19 and follow the N27 towards Nivelles. At the first round-about turn right onto the R24 Nivelles ring road and follow this around the town. 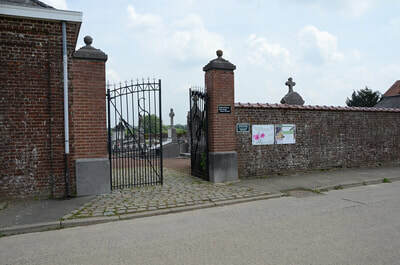 At the junction with the N93 turn right in the direction of Namur. After about 6 km you enter the village of Quatre Bras. 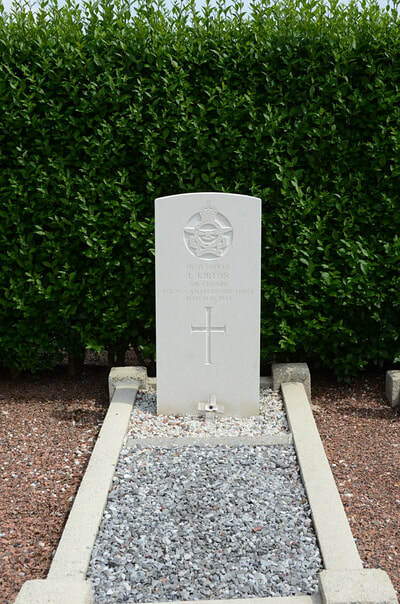 Turn left onto the N5 in the direction of Genappe then follow this road for aprox 2km and just after the village of Dernier Patard turn right onto rue Godefroid de Bouillon direction Baisy-Thy, then take the third right into Rue Bois Saint-Jean. The cemetery is about 150 meters from the junction. 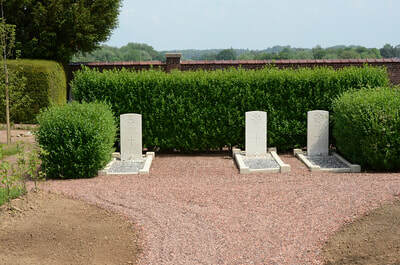 The three Commonwealth graves are located at the far end of the cemetery from the entrance close to the back wall and to the right of the main path. 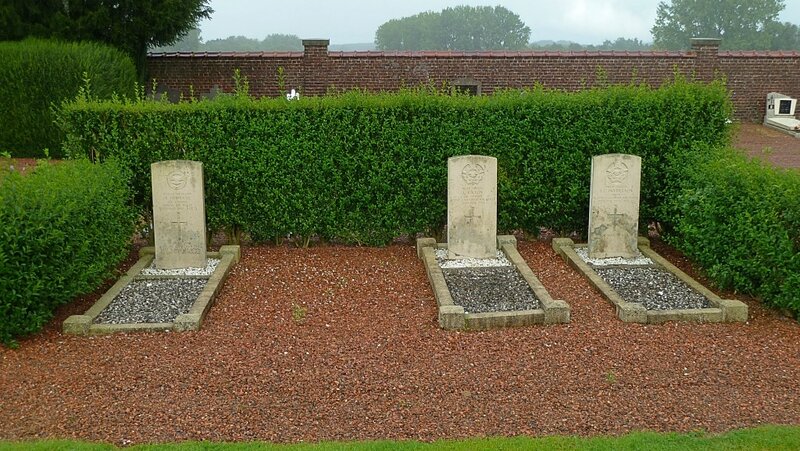 Baisy-Thy Communal Cemetery contains the graves of three Commonwealth airmen of the Second World War. 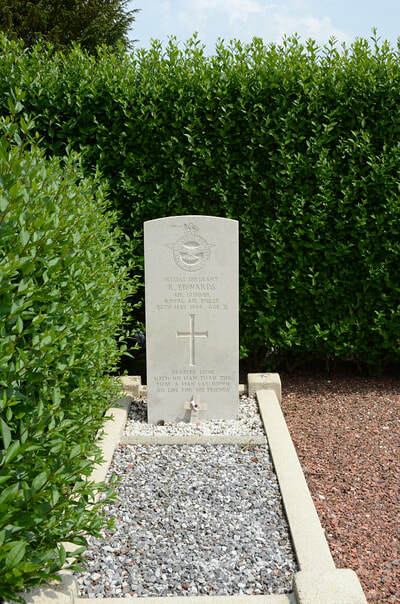 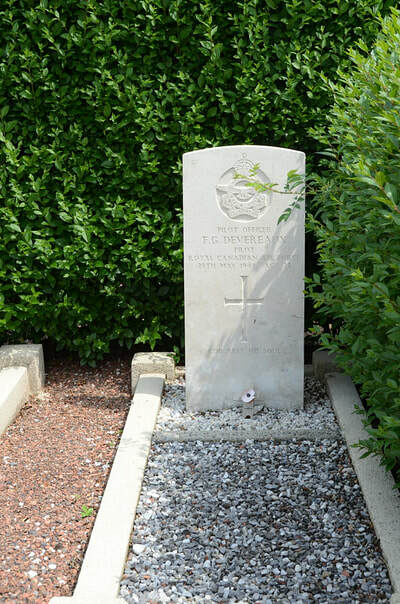 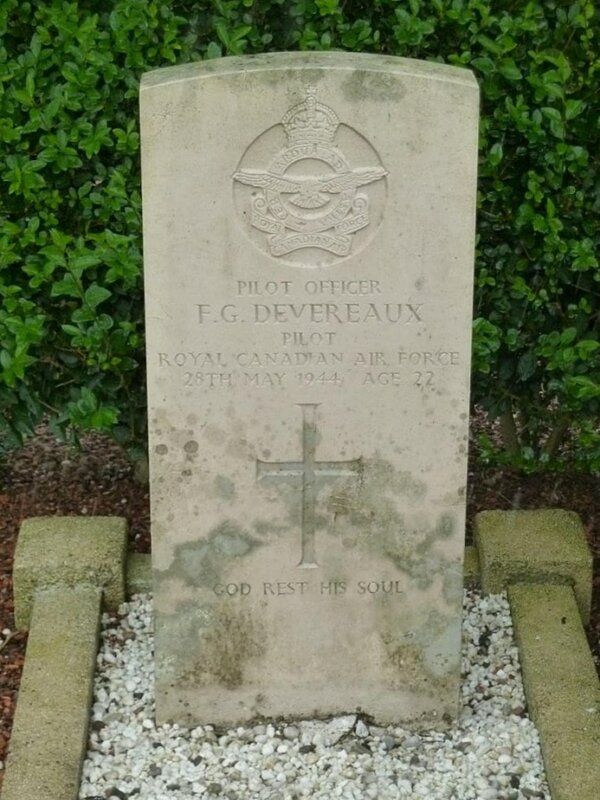 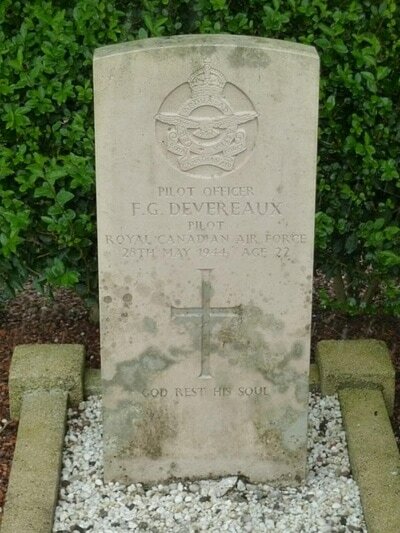 J/19592 Pilot Officer Frank Gerrard Devereaux, Pilot in 427 Squadron, Royal Canadian Air Force, died 28th May 1944, aged 22. 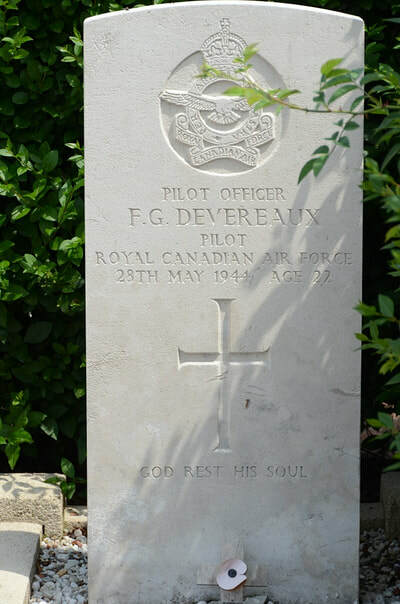 Son of John Louis and Mary Teresa Devereaux, of Seaforth, Ontario, Canada. 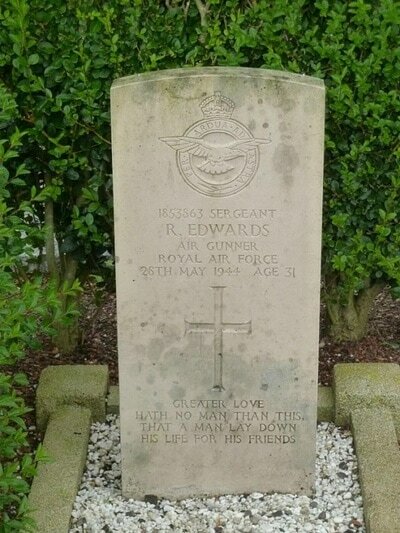 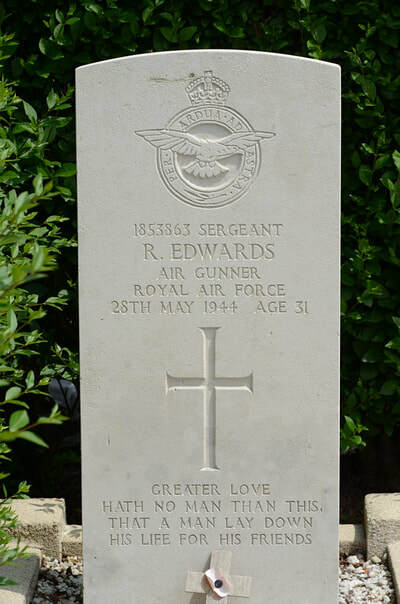 1853863 Sergeant Richard Edwards, Air Gunner in 427 (R.C.A.F.) Sqdn., Royal Air Force Volunteer Reserve, died 28th May 1944, aged 31. Son of Richard and Annie Edwards, of Holyhead, Anglesey. 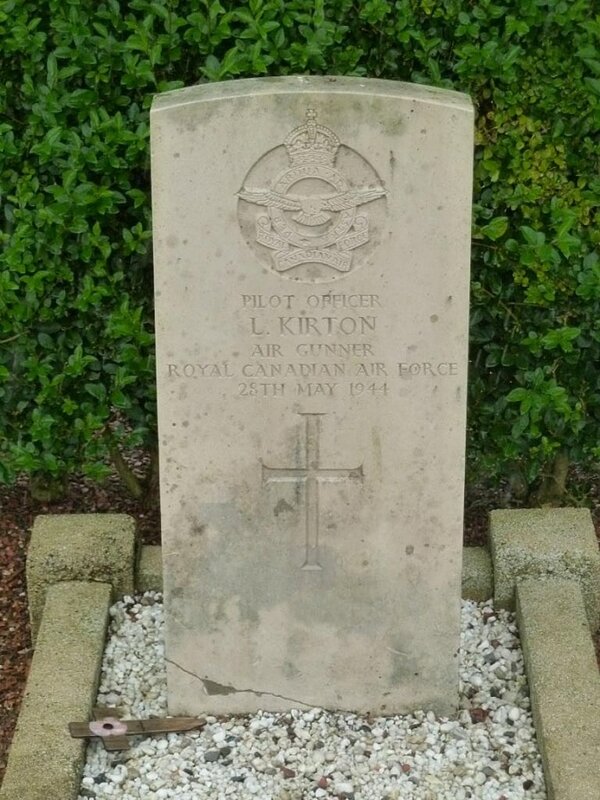 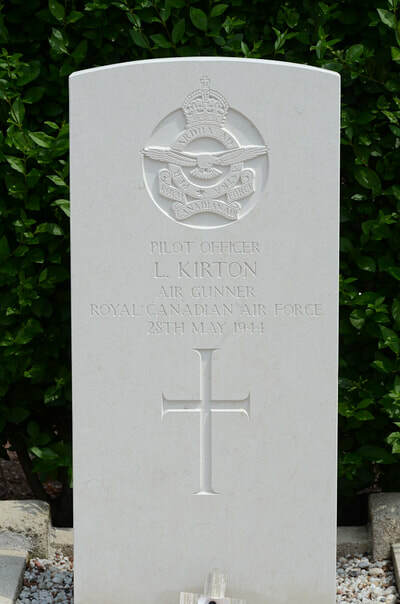 J/88776 Pilot Officer Lloyd Kirton, Air Gunner in 429 Squadron, Royal Canadian Air Force, died 28th May 1944.